We have a pyramid sitting in the universe with your point of view at its apex. 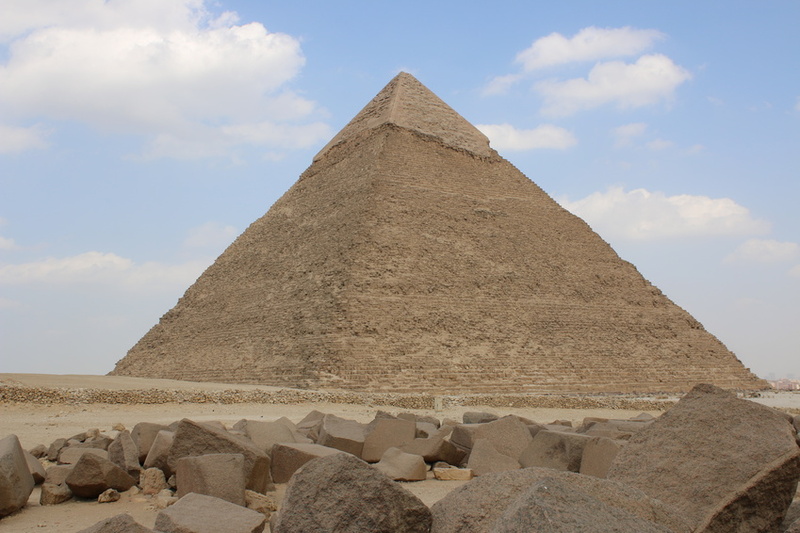 The sides of the pyramid extend out to the limits of your surrounding space. 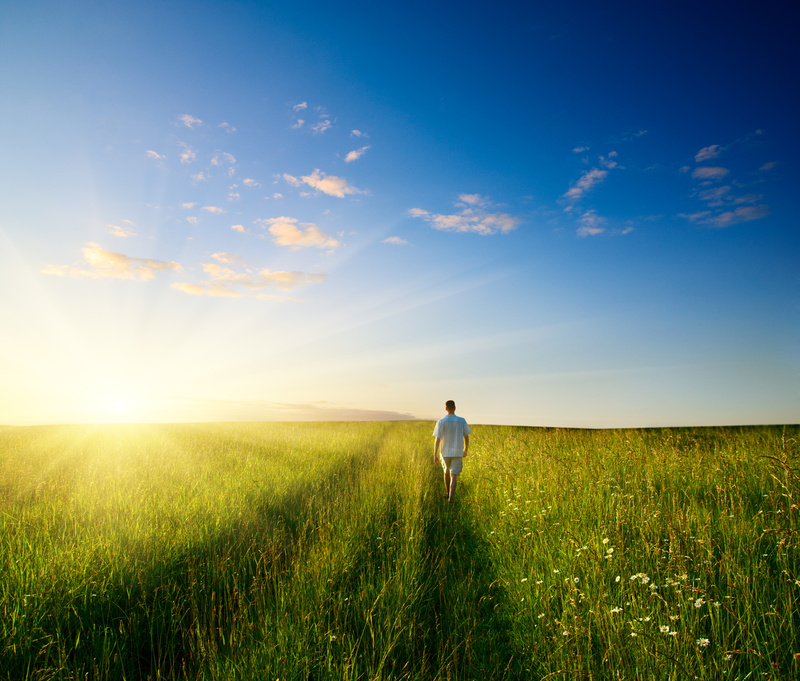 The apex sits at the center of your universe. 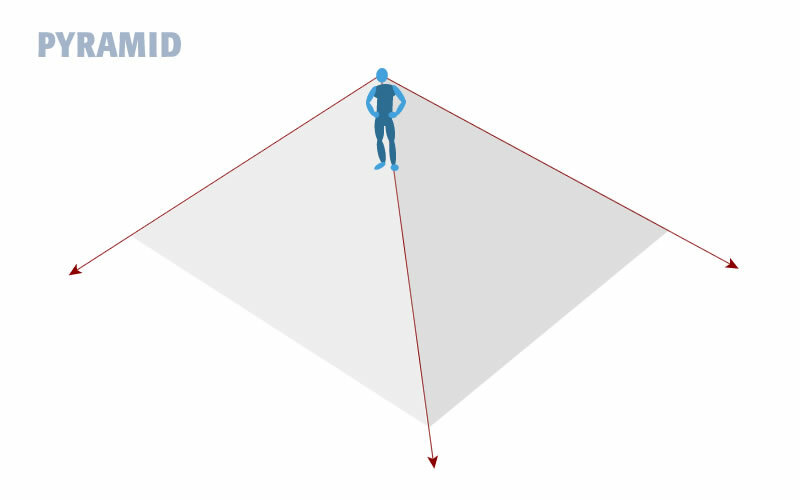 Take a geometric plane and make a horizontal slice through the pyramid as shown below. 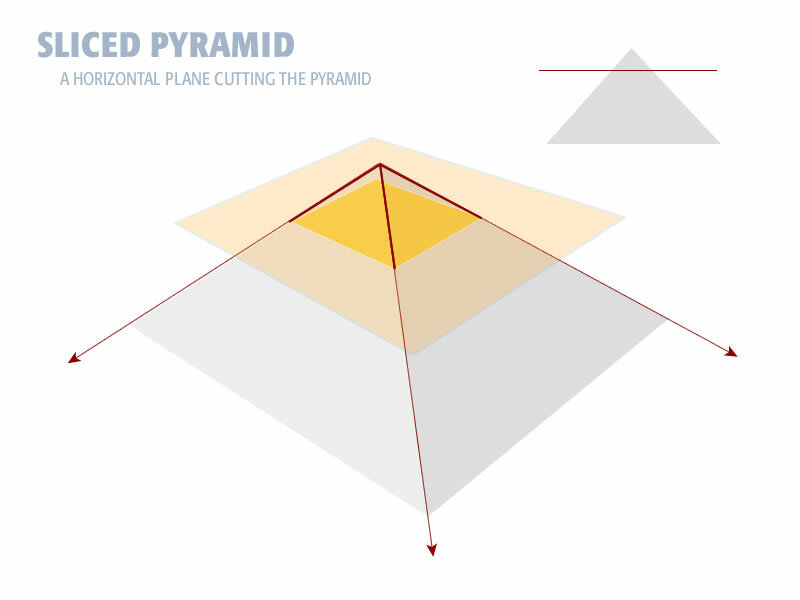 The horizontal slice intersects the pyramid forming a plane. The small drawing in the upper right shows a side view of the plane intersecting the pyramid. The large main drawing shows the pyramid slice in perspective. You can see how the plane slices through the pyramid. 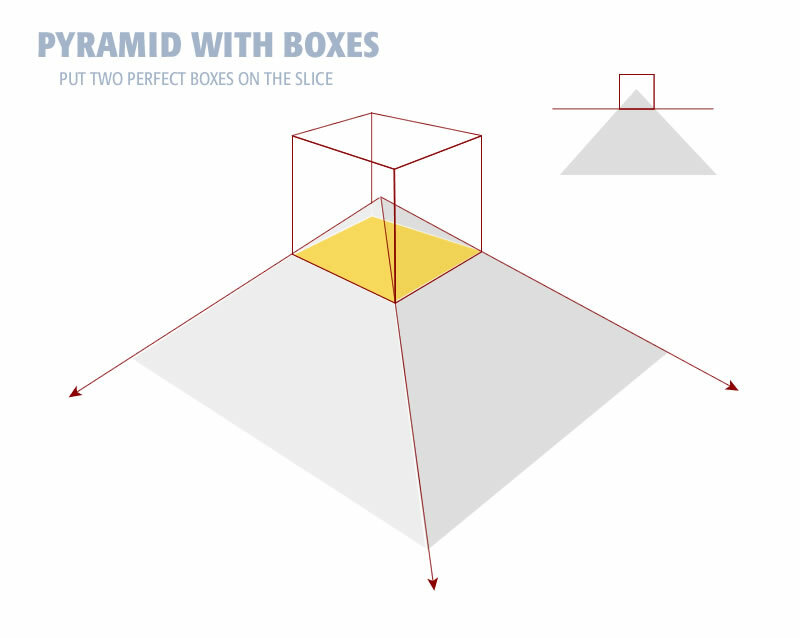 The intersection of the pyramid and slicing plane is shown in yellow. The drawing in the upper right shows the cubes sitting on the slice from a side view. The center of the cubes sit precisely at the apex. The large drawing shows the cubes in perspective sitting on the slice. The thumbnail diagram in the upper right shows the inner box has become slightly smaller. Correspondingly the outer box has become slightly larger. This behavior, where making the one box smaller causes the other both to become correspondingly larger, is called an inverse relationship. We are going examine how an inverse relationship works in the next section.